Google is all about solving really big problems using technology; they said so themselves. When they’re not tweaking their algorithm to stay on top of their search engine rivals, the Silicon Valley giant likes to pursue other endeavors, because just sitting on top of billions is no fun. And the undertaking that could be the most influential one day is that of their self-driving car. Yes, Google wants to “shoulder the entire burden of driving,” and what’s really exciting – or scary, depending on which side you’re on – is that they have the means to do it. Google is looking to revolutionize the road by eliminating human error and cutting down on the 33,000-plus automotive-related deaths that occur each year, including on-road bicycle and pedestrian incidents. Self-driving cars don’t get lost in thought for prolonged periods of time, don’t suffer from road rage, and don’t have to check and respond to that totes important text they just received. They don’t drink six beers and then decide to go out for a spin, either. On that note, the current thought is that these vehicles would initially act more like a taxi service, ferrying passengers to and from their destinations safely and succinctly by eliminating the limitations of the human brain. 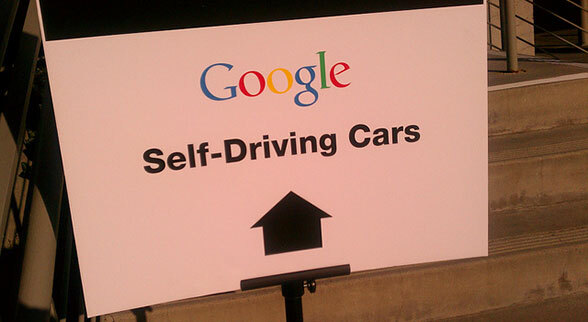 Of course, the concept of the self-driving car is not unique to Google. Big-name automotive brands have had their hands in the autonomous testing sphere for a few years now, and we’re beginning to see increased competition popping up from companies of all shapes and sizes, from scrappy upstart Cruise Automation to a team of Dutch entities, all of whom are looking to take the metaphorical driver’s seat. Volvo recently took aim at the top spot in the autonomous arms race with their ‘Drive Me’ program, rolling out 100 self-driving cars on the streets of Gothenburg, Sweden with one huge advantage – legislators, transport officials, and the city itself are all backing the project. But back in the U.S., it still seems to be Google’s race to lose at the moment. In the beginning, Google plucked the most capable engineers from the DARPA Challenges, a series of federally-funded races featuring autonomous vehicles, and sent them to work. A ‘dream big’ attitude and prodigious funding flexibility have since given birth to their most recent self-driven concept car, unveiled in May 2014: a “cute” and “friendly” (in the words of project head Chris Urmson) 2-seater that looks and feels as basic as can be. 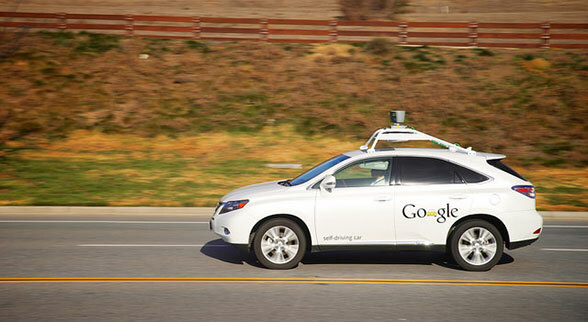 In fact, Google’s current vehicle has been simplified to the point of pressing a button and going. Gone are brakes, accelerator, and steering wheel, as are blind spots. Don’t be fooled by its appearance, though. Complex software led by new and improved sensors allow the car to see more than 200 yards in any direction, and the speedometer has been capped at 25 MPH, meaning there won’t be any high-speed hijinks. The new car has also taken a page out of the driving school playbook by promoting better defensive driving tendencies, even waiting a second after a green light so as not to connect with red light runners. On-road familiarity is highlighted as well, which means that engineers have been ironically making their cars drive in a more ‘human’ manner so as not to spook flesh-and-bone drivers with unpredictable robot actions. All this technology sounds expensive, and though Google has never given specific numbers, it’s said that each of their cars carries around $250,000 to $300,000 worth of equipment. Self-driving cars would also theoretically cut down on traffic congestion and carbon emissions, freeing up time while also increasing certain freedoms. Senior citizens, for example, would no longer need to fear their failing eyesight and lagging reaction time (and neither would fellow commuters) – just tell the Googlemobile where you’re going, and enjoy the ride. Now with over 700,000 driverless miles and counting, Google has been taking their cars on practice runs down the city streets of Mountain View, CA to simulate the business of everyday driving. Ever-evolving software models can now detect everything from construction sites to railroad tracks, to crossing guards and even signaling bicyclists. What the human eye sees as “chaotic and random” is predictable and straightforward to the car’s computerized laser vision. 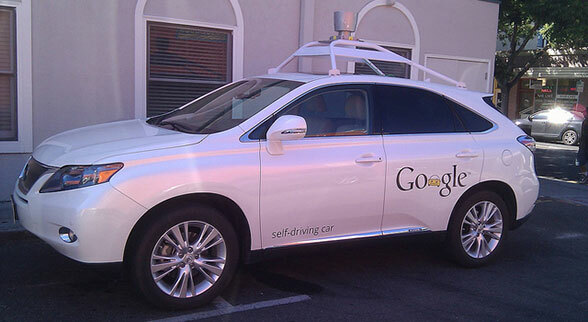 Case in point – of two noted fender-benders involving their driverless cars (including a much-publicized incident in August 2011), Google has stated that both cars at the time were being driven by Google employees. So far, so Googley. Google employees carefully map each road the driverless car will travel, grabbing every detail of the terrain, even down to curb height, so that the cars have advanced knowledge of their path ahead of time. When the car takes to the street, an on-board computer then integrates data taken from the mounted lasers and cameras to move around the pre-loaded digital map, the car can position itself accordingly while reacting to real time moving objects it encounters –sort of like how a brain reacts to sensory input. Different cameras account for different obstacles: one monitors traffic, one detects traffic lights, etc. As for those of us who still love the control and feel of the driver’s seat, don’t worry just yet. The era of the self-driving car is still some time away. And any entity looking to roll out a self-driving device, Google included, is going to be very deliberate in their process. The reason is simple: while initial success would be monumental, any failures would set the entire movement back a considerable amount. While the consensus so far is that the technology initially won’t be for everyone, there will no doubt be resistance from people who will have to share the road with self-driving cars. Just thinking about cars with no steering apparatus and no brakes is enough to give some of us a panic attack. And forget wanting to take a ride for a moment – if and when one of these automobiles causes an accident on its own accord, the reactionary among us will have reason to go into overdrive about overall safety and the lack of a human element behind the wheel. Legalization will become murkier, laws will be petitioned, and heads will shake. It’s the natural course of things. Beside the human desire for control, add legal issues (who would be responsible if someone gets hit?) along with opposition from would-be affected industries, and you’ve got a waiting time of years, in all likelihood. Industries that could conceivably take big hits include auto manufacturers, who provide 1 out of every 17 private sector jobs, and auto insurance entities that thrive off of our mistakes to the tune of almost $200 billion each year. And do you think threatened taxi drivers will just lie down and find a new profession? Right now, only four states (California, Florida, Michigan, and Nevada) allow public testing of driverless cars, with a law in Texas pushing for inclusion. Until everyone else catches up, expect many more prototypes and several additional speed bumps before you can hop into a machine and catch a few more Z’s on the way to work. Time, as it always has, will tell the future of the driverless car, but as long as companies like Google look to push the bounds of possible, anything goes. Image Credit: Jennifer 8. Lee, Mark Doliner, LoKan Sardari, and Google.